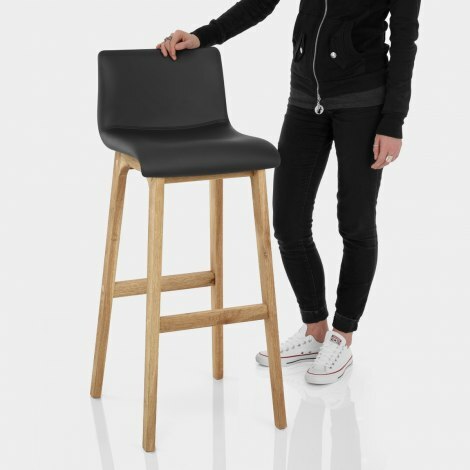 Sure to become the fashionable focal point of your home, the Wave Bar Stool Black is a funky and versatile piece. Utterly impressive, the Wave is a modern model with retro influences and a steadfast design, set to give your interior an instant upgrade. Effortlessly combining contrasting materials, the chic black faux leather seat is the star of this design. The padded seat is ergonomically curved for your comfort, and also boasts a mid-height backrest for extra support. 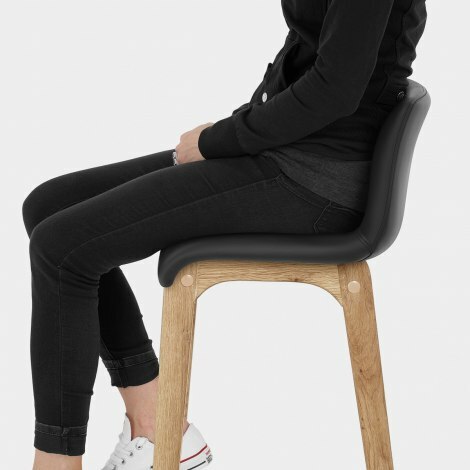 The seat sits atop a durable solid oak frame. A practical yet stylish design, the frame includes a bracing bar footrest, to strengthen the design and lend a handy perch for the feet. "Great bar stool and very easy to put together"
Met my expectations having read existing reviews. Good quality, very comfortable, very happy to recommend, Next day delivery was an added bonus. The stools around my kitchen island look amazing and were just what we were looking for. There was a delivery issue but no fault of Atlantic Shopping. When I contacted them it was quickly resolved and my chairs arrived a day later. Very pleased with this purchase. Everyone who has seen them wants some! Comfortable. Correct height. Thank you Atlantic Shopping! 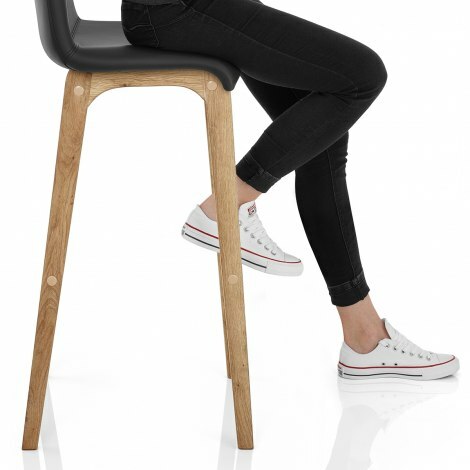 Great looking stool, easily put together, very comfortable, very pleased with product. I cannot fault the company or the product. The delivery, next day, was brilliant. The stools were a doddle to assemble, everything I needed was there. They look good and are the perfect height for a breakfast bar. Excellent quality from top to bottom. Thank you Atlantic.